May | 2014 | DEBtastic Reads! Welcome to the Spotlight Michaela MacColl and Always Emily! I’m pleased to shine the spotlight on author Michaela MacColl and her newest YA novel Always Emily! Fan of the Brontë sisters? Enjoy mystery and romance? You’re going to love this book! Stay tuned below for a chance to win a copy of this thrilling novel! In 1835 Haworth England, 17-year-old Emily is forced by her sister Charlotte to leave her beloved moors to a boarding school, where Charlotte will be a teacher. Both sisters crave the writing life, but Charlotte is practical, having lost a mother and two sisters to disease, she worries about the future and her aging clergyman father. Teaching would be a good practical profession. But when Emily’s homesickness and misery allows her to escape back home, Charlotte stays to teach. Emily comes across a mysterious young man camping on the moors and learns he suspects his mother is being held captive by his cruel uncle. Charlotte comes home for a short break and becomes embroiled in the mystery as the two sisters work together, instead of against, as they usually do. A griping and engaging tale based on the famous Brontë sisters. What was the spark that led you to write this story about the Brontë sisters – and what made you write a mystery/romance? Always Emily is part of a series of literary mysteries, with a touch of romance. The first was Nobody’s Secret and it starred Emily Dickinson solving a murder that was based on a poem. Always Emily features Emily and Charlotte Bronte. These sisters are so different but they both stumble on the same mystery on their beloved moors. As they untangle the problem (with a few handsome suspects to distract them), they find a new equilibrium as sisters. My inspiration is always to portray famous people in stories that make them accessible. I try to incorporate elements of their literary style too. In Always Emily, I use many motifs found in Wuthering Heights and Jane Eyre, as well as details from their lives that informed those works. You include a detailed and fascinating author’s note at the end of the novel, explaining what was fact and what was fiction in this story. What were the particular challenges in writing a novel based on actual persons from history? And what were the particular joys? I have to confess, the author’s note is one of my favorite things to write. I love showing the reader how I did it. What little details inspired the story and what bits were invented. For many of my readers, this may be their introduction to these authors and this setting. I feel a special obligation to make clear what’s historical and what’s fictional. When I research my stories I start with the heftiest biographies I can find. Then I may go into other sources that are more specific. For instance, when writing about Emily Dickinson, I found a very useful academic book about Emily Dickinson’s domestic help and how it impacted her output. The author had done a ton of research that gave me brilliant details about Emily’s kitchen and household responsibilities. The more I read, I find that I’m building a personality for my characters in my mind, layer by layer, detail by detail. By the time I start to write, I feel as though I know the character intimately. It’s really fun – as though my character was co-writing the story with me. Emily is headstrong and independent. Charlotte is more practical and responsible. Both are brave and smart. Which sister are you most like and why? Debbi, at first when I wrote this novel I couldn’t choose. I began with an alternating point of view structure. It turned out to be unworkable and felt artificial so I compromised by keeping the story in the third person with a tight point of view that varied by chapter – some parts of the story are clearly Emily’s, others are Charlotte’s. But there was always that nagging question, who is the main character? Personally, I have a lot more in common with Charlotte and I sympathize with her perpetual struggle to keep her eccentric family grounded and solvent. But who doesn’t like the wild and impulsive Emily? The title Always Emily sounds romantic (I think that’s why my publisher liked it) but in fact the person who says it in the novel is her exasperated sister. No matter, what, it’s “always Emily” who get the attention and admiration. Michaela attended Vassar College and Yale University. She earned degrees in multi-disciplinary history. Unfortunately, it took her 20 years before she realized she was learning how to write historical fiction. Her favorite stories are the ones she finds about the childhood experiences of famous people. Michaela has two daughters, three large cats and lives in Connecticut. For more about Michaela and her books, check out her web site, follow her on Twitter, or like her on Facebook! 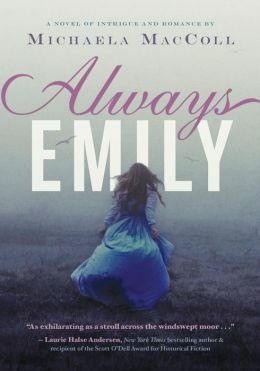 Want to win a copy of Always Emily? Follow these directions to enter the drawing. 2. Entrants must have a U.S. mailing address. 3. Comment by midnight EST on Friday, May 30th. Winner will be drawn at random and notified by email. I’ll announce the winner here on the following Tuesday. Jama Rattigan of Alphabet Soup! HOORAY! Please contact me at just kid ink at yahoo dot com (no spaces) and send me your mailing address. Your prize will be on its way shortly! Thank you to everyone for stopping by! Come back soon for more book buzz, interviews, and book give-aways! Happy reading! There is a lot of support from numerous authors. I’ve long felt the desire, the need for more diverse characters in YA, in all fiction. When I was a child, I devoured books by Judy Blume and Paul Zindel and M.E. Kerr – and often wished at least one of those characters looked like me. 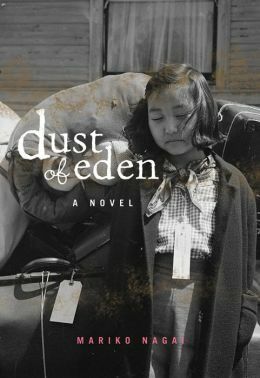 I think the only book I read when I was younger that had a Japanese-American character was Farewell To Manzanar by Jeanne Wakatsuki Houston, and while it was a fascinating story about the internment of Japanese-Americans during WWII, it wasn’t something I could directly relate to (although my father had been interned). I am a third generation Japanese-American. I grew up in West Los Angeles where I was surrounded by friends and classmates of all races. It wasn’t until as an adult when I moved from California that I was forced to think about race a lot more. I’ve lived in the Midwest, the East, New England, Mexico, and China. I’ve had great experiences and not-so-great experiences. I am proud of my heritage, but for the most part I very much identify with being American. While I appreciate and enjoy reading stories about immigrant experiences, I also love to read contemporary stories where Asian-American characters (or any characters of color) deal with romance, friendship, hard issues, family, etc. I love seeing Ming-Na Wen in television’s Marvel’s Agents of Shield and Lucy Liu as Watson in Elementary, where their race isn’t an issue. I’d love to see more of that in YA literature. Here’s an incomplete list of books with diverse characters. Please feel free to add to it in the comments section. I also want to make special mention of an adult novel with an Asian-American main character who is a lawyer in Manhattan: The Partner Track by Helen Wan. This is not a full list – but let’s face it, we still need more! My friend’s young daughter (of Asian heritage) often bemoans the fact that there are “no books out there with characters that look like” her. My college-age daughter is half Japanese, a quarter German and a quarter Irish. Where are the characters that look like her? Act like her? One of the reasons I’ve heard that publishers give for not publishing more books with diverse characters is that they don’t feel that their audience will be able to relate. I’ve been reading books with mostly Caucasian characters for decades – I enjoy those books very much. I can relate to the characters’ feelings and their experiences. I get to learn and grow and experience through the lives of these characters. I doubt very much that young kids who are not of color would be alienated by these books with diverse characters. I would also love to read stories about characters more like me. It’s one of the reasons I mention The Partner Track by Helen Wan above. I’m not a lawyer gunning for partner, but some of the experiences the main character has as an Asian-American living and working in a big American city were exactly like some of my own. Wouldn’t it be nice if kids of color could see themselves in some of the characters in books – to be able to say, “Hey! I know how that feels!” I could seriously go on and on, but in the interest of time, I’ll stop here. Let’s make some noise and put our money where our mouths are. 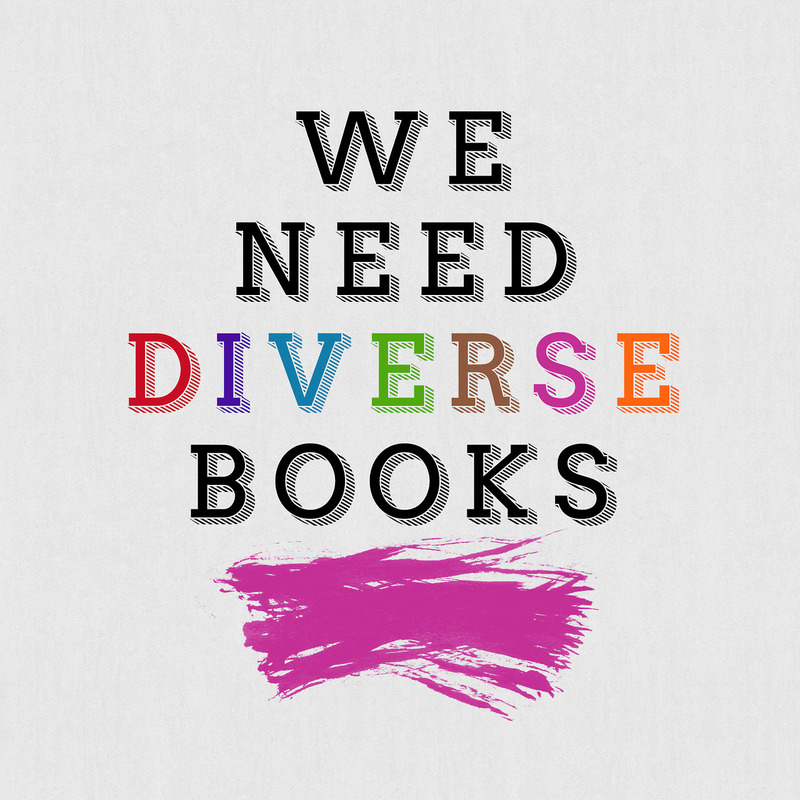 Buy books with diverse characters! Share them with friends. Help the publishing world let go of the notion that kids (or really buyers) don’t want to read books with diverse characters.